SALISBURY, England — British media reported Monday that a former Russian spy was in critical condition after coming into contact with an “unknown substance,” a case that immediately drew parallels to the poisoning of former Russian agent Alexander Litvinenko. Authorities did not identify the man, saying only that he and a woman were found unconscious Sunday on a bench in a shopping mall in Salisbury, about 90 miles west of London. “They are currently being treated for suspected exposure to an unknown substance. Both are currently in a critical condition in intensive care,” police said in a statement. The discovery of the unconscious pair led to a dramatic decontamination effort. Crews in billowing yellow moon suits worked into the night spraying down the street, and the Salisbury hospital’s emergency room was closed. “On the bench there was a couple, an older guy and a younger girl. She was sort of leaned in on him. It looked like she had passed out, maybe,” Church said. 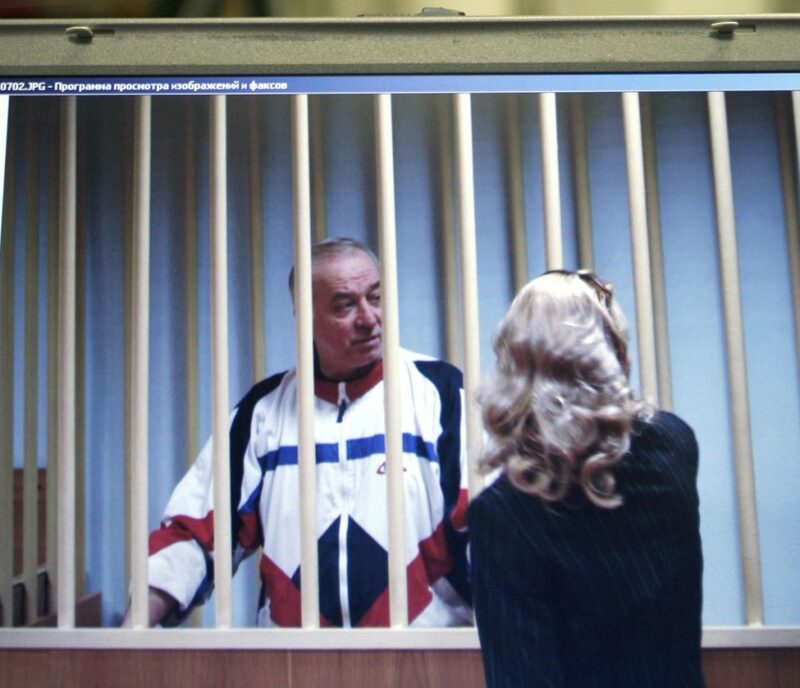 Skripal served with Russia’s military intelligence, often known by its Russian-language acronym GRU, and retired in 1999. He then worked at the Foreign Ministry until 2003 and later became involved in business. After his 2004 arrest in Moscow, he confessed to having been recruited by British intelligence in 1995 and said he provided information about GRU agents in Europe, receiving over $100,000 in return.